You probably know what an architect does, but what about a civil engineer? Civil engineering involves the long-term planning and maintenance of the human habitat. From sidewalks to cities, civil engineers are charged with the task of developing civil infrastructure while also serving as stewards of the environment. A dual degree in architecture and civil engineering combines these big-picture issues with hands-on design and planning. At Catholic University, you will take courses in architecture and engineering along with core classes in the liberal arts that will develop your critical thinking and writing skills. The interdisciplinary professional training offered by the dual degree in architecture and civil engineering will make you a competitive candidate in the job market after graduation. You will be armed with a strong technical foundation, hands-on design experience, and a broad base of knowledge in the liberal arts. Learn more about the B.S. Arch/B.C.E. A strong sense of critical inquiry is essential to architecture and engineering. In your first year at The Catholic University of America, you will join a small learning community of students taking courses in theology, philosophy, and English. These classes will ground your studies in a rich tradition of intellectual curiosity and provide context for your major classes, offering a unique view of culture and contemporary society that will supplement your study of engineering and design. There are few better places to study architecture and engineering than the bustling metropolis of Washington, D.C. At Catholic University, the nation's capital will be your laboratory. The Catholic University of America's campus is a short Metrorail ride away from the heart of D.C., where you can not only see the sights, but also participate in the design, planning, and maintenance of the city with volunteer projects and internships. Catholic University professors are experts in their fields who bring practical as well as theoretical knowledge to you the classroom. 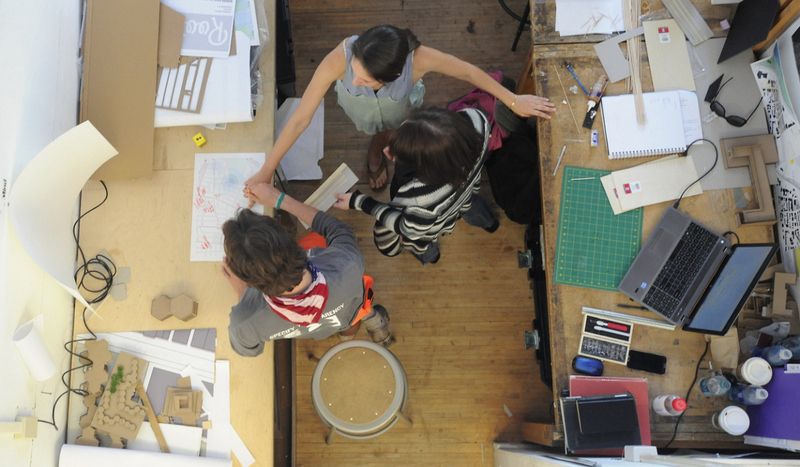 You will work collaboratively with your professors and your peers on design projects that allow you to realize your ideas in three dimensions, developing your teamwork and leadership skills alongside your technical knowledge. Both architects and civil engineers are in high demand. 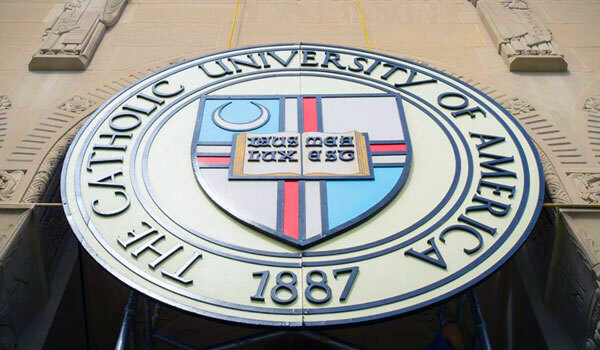 By earning these two degrees simultaneously at The Catholic University of America, you will widen the scope of your professional possibilities and increase your potential for employment. Graduates of the dual degree program at Catholic University find careers with architectural and engineering firms, take teaching positions at universities, or pursue graduate study. But your degree will do much more for you than secure employment. Architects and civil engineers are engaged citizens and active stewards of their communities. Catholic University takes a holistic view of architecture, with an emphasis on service, ethics, and life-long learning. Your education here will shape you not only as an engineer and architect, but as a whole person. For more information, please contact Hollee Becker, Associate Dean for Student Affairs.